One thing we love about restaurant ovens is how big they are. You can crank out several baked goods or baked foods in a few hours and fed a large amount of people. Cooking with ovens is basically the best and healthiest way to eat most meat products. Excessive deep frying and pan frying can be a ticket straight to a heart attack. Well if you a have a restaurant then you know how important it is to buy quality ovens for it. Getting the cheapest oven in the market will not do you any good. You need more than just a few bucks to get some of the best ovens available. Do you need to have a few of those checked out for dents or any problems. Then visit our shop in Nashville and see them first hand. Some are just too large and majestic to buy online. You need to come and see them with your own eyes. If you cannot travel this far then do not be worried we have a delivery system for you. 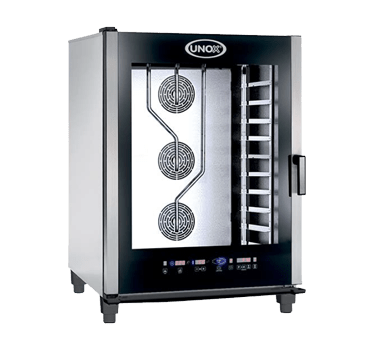 Starting from the most common to the most unique oven in the market. Getting an oven that matches your capabilities or the amount of product you need to cook in a day can be tricky. Before you start shopping on the site decide on the kind of oven you want. This can easily be done by listing your intended purpose and the amount of food you plan to prepare in a day. You can then make a trip to our shop or open the ovens tab on our site. Here you will find very many options should you choose to buy an oven from us. From single ovens to double ovens you will be spoilt for choice. Did we mention those electric ovens that you can buy from us. What about the normal gas ovens that make a quick meal. Pizza ovens that are created specifically for that purpose are another option you can choose when buying an oven. After you have shopped for a while make an aim of getting the last 3 that you just cannot decide on. Write down all the features of the ovens that you like. Make a list of the features you wanted in the first place. Make a list of the pros and cons of these ovens based on your first list and the features they have. This will help you chose the perfect oven. Do you need an oven that has Centigrade or different readings? Is the one you want hot enough for you or not? Is it just what you needed? This are some of the questions our salespersons will ask you as you visit and browse the shop. Make sure the oven you choose is going to cater to your needs or else you will be disappointed. We aim to deliver high standards every time.